Anyone who becomes an Uber Passenger must agree to the contractual relationship with the company in order to hail a ride. The contract is quite specific and limits liability to Uber. Upon review of the contractual relationship you can see UBER is quick to draw a distinction that Uber users must adhere to the terms of UBER’s rules. Uber sharply distinguishes that they are a tech company and do not provide transportation, and moreover use “third parties” to accommodate the rides. This is important as they are basically limiting any and all attempt at liability by the user of Uber services. What is not clear is how this affects passengers without an uber account. They are not bound and did not agree to this contract. Moreover, Uber classifies this relationship as a license or in legal terms a privilege. 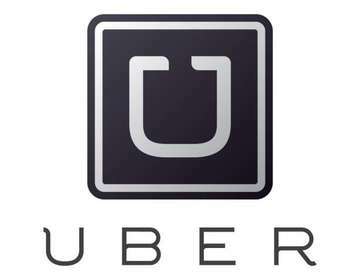 "The Services constitute a technology platform that enables users of Uber's mobile applications or websites provided as part of the Services (each, an "Application") to arrange and schedule transportation and/or logistics services with third party providers of such services, including independent third party transportation providers and third party logistics providers under agreement with Uber or certain of Uber's affiliates ("Third Party Providers"). Unless otherwise agreed by Uber in a separate written agreement with you, the Services are made available solely for your personal, noncommercial use. YOU ACKNOWLEDGE THAT UBER DOES NOT PROVIDE TRANSPORTATION OR LOGISTICS SERVICES OR FUNCTION AS A TRANSPORTATION CARRIER." “…UBER'S SERVICES MAY BE USED BY YOU TO REQUEST AND SCHEDULE TRANSPORTATION, GOODS, OR LOGISTICS SERVICES WITH THIRD PARTY PROVIDERS, BUT YOU AGREE THAT UBER HAS NO RESPONSIBILITY OR LIABILITY TO YOU RELATED TO ANY TRANSPORTATION, GOODS OR LOGISTICS SERVICES PROVIDED TO YOU BY THIRD PARTY PROVIDERS OTHER THAN AS EXPRESSLY SET FORTH IN THESE TERMS. Finally, Uber mandates that California law will govern the contract, and that any dispute will be adjudicated by arbitration, not a jury or bench trial. So, in addition to mandating and limiting their liability, they also control that an aggrieved party must waive their constitutional rights to to bench trial or jury trial for the contract interpretation. In essence this make any litigation quick and more affordable for Uber. If you have a personal injury matter and were a passenger or customer in an Uber vehicle your rights may be limited, so contact the attorneys at Benson & Bingham to help figure out your rights. Who is Liable in an Uber Accident and How are Third Party Passengers Affected?